Having crooked teeth, bite issues, or a speech impediment due to malocclusion could greatly affect an adult’s professional and personal life, but it’s not too late to have them fixed. There’s a common belief among adults that braces and other methods of dental realignment are reserved for teenagers and children. This belief may be grounded by the fact that adult jaws no longer grow unlike that of children and teens; however, that doesn’t mean that it’s impossible. Whenever someone mentions teeth alignment or orthodontics, metal braces would immediately come to mind. Metal braces or “traditional metal wired braces” are perhaps the most common and least expensive of orthodontic appliances. Small brackets are cemented to the front of your teeth and are connected by a wire, and are gradually adjusted through the use of elastic ties until the teeth are properly aligned. The Damon braces is fundamentally a variant of traditional metal braces, but instead of using elastic ties, the Damon system uses a self-ligating bracket. Although slightly more expensive than metal braces, they are more compact and easy to maintain and have been noted to be less painful. Clear braces are practically similar to metal braces, in such that brackets are installed with wires connecting them. The brackets on clear braces are made of teeth-colored ceramic or clear plastic and offer a more nondescript approach to adult orthodontics. Lingual braces are metal braces whose brackets are bonded behind the teeth and in direct contact with the tongue (hence “lingual”). In this position, the braces would no longer be visible; however, they are often more difficult to be accustomed to and are much more expensive than metal or clear braces. Clear aligner, unlike metal and clear braces, is a removable orthodontic appliance which is made of clear plastic that is worn over your teeth. 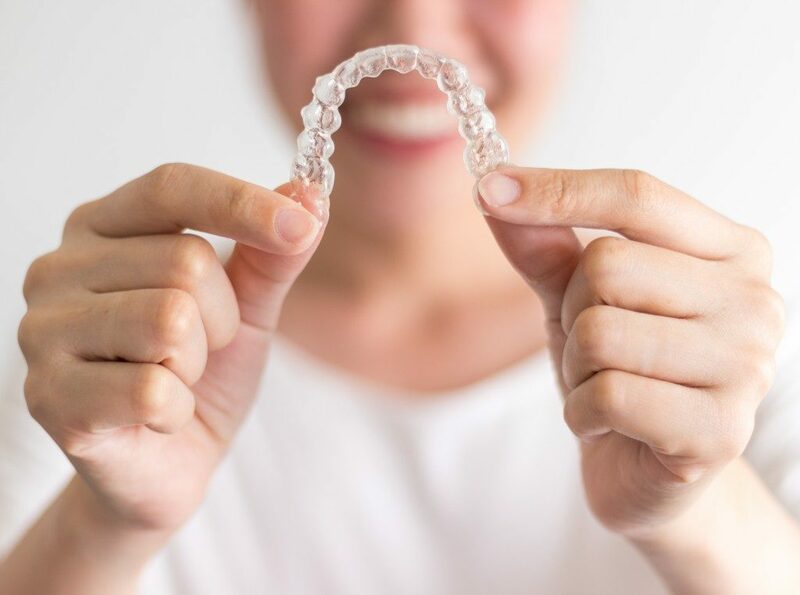 These clear aligners have trays that move your teeth into their proper position and is designed by the dentist or orthodontist with the use of diagnostic imaging and virtual graphic software. They are relatively easy to clean and are far less visible even compared to clear braces. After orthodontic treatment, braces are replaced by retainers to prevent teeth from being misaligned and “retain” their current and corrected positions. Approximately one-third of adults who have had orthodontic treatment when they were children or teens end up seeking orthodontic treatment again since they simply stopped wearing their retainers. With all these options available, always remember that it’s not too late to have your teeth corrected. Modern orthodontics has made it possible for people of all ages to achieve optimal dental health and alignment. So don’t hesitate to visit your local dentist or orthodontist.